Everything on the menu is cooked over a bed of charcoal to give all Mezethes food its traditional Greek flavours. A wide selection of meat, seafood and vegetarian dishes will tantalize your taste buds. 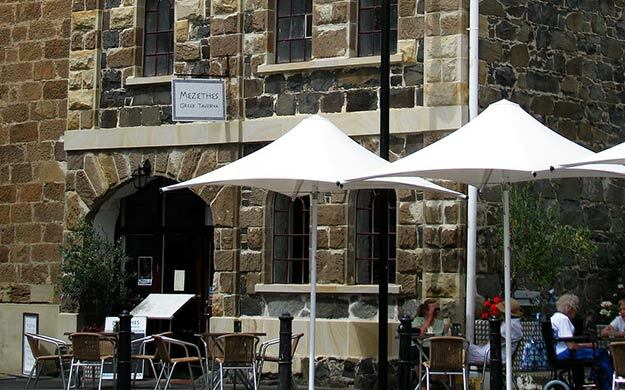 There is plenty of dining space outside for those late lunches in the sun. A friendly atmosphere and award-winning cuisine will have you wanting to come back again and again. 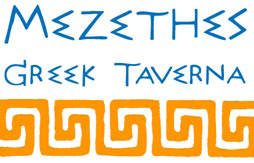 Mezethes Greek Taverna is truly a restaurant for all occasions. Open 7 days for lunch and dinner. Breakfast served Saturday and Sunday.